- The number of new listings went down by more than 7 percent. Now is the time to put your home on the market. - Median Sales Price decreased by almost 2 percent to $347,000. Still, a great number! - Days on Market has increased almost 17 percent to 42 days. ♥ BUYERS -- THERE ARE STILL LOTS OF OPPORTUNITIES FOR AFFORDABLE HOMES! IF YOU'RE READY TO MOVE, I WILL HELP YOU GET THE HOME YOU WANT. Wow! Look at that Median Sales Price! $428,555 vs $347,000 for existing homes. And, note that some builders (not all) are willing to negotiate on prices. Are there other ways you negotiate with a builder? YES! DON'T GO IT ALONE WHEN BUYING NEW CONSTRUCTION! THERE IS TOO MUCH AT STAKE. ON SITE AGENT WORKS FOR THE BUILDER - NOT YOU. YOU NEED YOUR OWN REPRESENTATION AND THERE IS NO COST TO YOU! Contact me with ALL your questions. I love talking Real Estate. 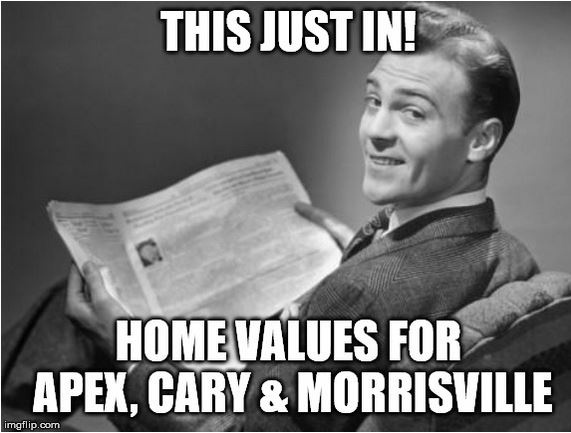 Want to know the value of your home? What is My Home Worth?